UFC 214 was undoubtedly the most stacked MMA card of the year so far. After a lackluster first half of 2017, UFC could use an event where everything came together, all fighters showed up to their scheduled bouts, and delivered enterntaining action. The MMA gods were on our side – while it was’t perfect, UFC 214 turned out to be pretty damned good. The televised prelims were all exciting fights, capped off by Ricardo Lamas destroying Jason Knight in what was in my opinion the best performance of Lamas’ career. Here are my thoughts on the Pay-Per-View bouts. This fight didn’t last long, after the fighters clinched up Volkan rocked Manuwa with some dirty boxing, forcing Jimi to back off. Volkan landed another hard shot, tossed his opponent to the ground and finished the fight with a few follow-up strikes that were probably unnecessary and left Manuwa grappling with the referee. Another quick knockout for Volkan, who is now 3-0 in the UFC with back-to-back first round knockouts over very game opponents. Way to make a name for yourself! Oezdemir called for a title shot, which he is not likely to get at this point in time. More on that later. Once again… it seems like a weekly segment can be written about fouls and their mishandling in the world of MMA these days. On Sunday night, Stockholm time, a potentially very intriguing fight between Alexander Gustafsson and Glover Texeira took place. 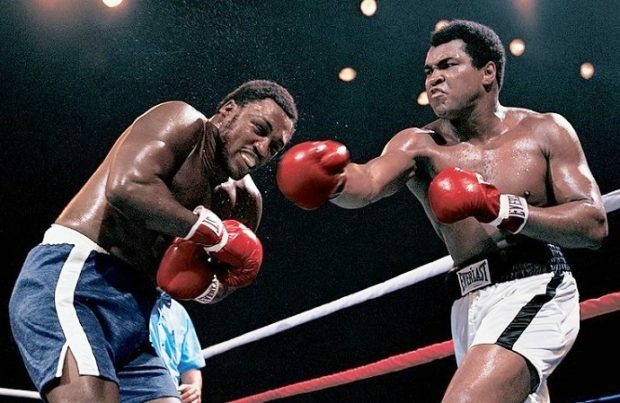 Both have been at the top of the light heavyweight division for a long time, and this was one of the few fights between the very best in that division which had yet to be made. So, apart from the fact that they both already fought for the title and lost, it was a very interesting fight. And the fight indeed started quite interestingly. Unfortunately, in the middle of the very first round Gustafsson apparently poked Texeira in the eye. Marc Goddard stopped the action, called in the doctor and told Texeira emphatically that he doesn’t have any time to recover and that he needs to decide immediately whether he can continue to fight or not. Fighters are usually very reluctant to say they cannot fight. They prepare for months for these fights, their livelihood depends on these fights and it’s very important for fighters to have success in their careers to always feel like they can overcome any adversity. Plus, they usually get a lot of scrutiny from fans and promotions alike for quitting mid-fight. So while it may be the smart move for a fighter to quit for any reason that would compromise his fighting ability, most times fighters try to push through and keep fighting. Having just discussed the fiasco involving the result of the co-main event on Saturday’s card, there was actually another big story surrounding the main event. As is well known, Daniel Cormier first weighed-in at 206.2 pounds, 1.2 pounds above the required limit for a championship fight. He then went back to the dressing room, came back less than 3 minutes later and weighed-in at 205 pounds on the nose, while holding the towel that was used to cover his privates and was held by two other guys on both sides. Since obviously something was out of order here, allegations were immediately thrown Cormier’s way for cheating, claiming that by leaning on the towel, Cormier was able to lighten the weight he was putting on the scale by exactly those 1.2 pounds he needed to make the required weight. And in fact, when looking at Cormier weighing-in the second time it does look as if he is pushing down on the towel while looking at the scale as if he is trying to decide exactly how much he should be pushing down on the towel in order to get to the desired weight. While it’s easy to blame Cormier for the incident, and he probably should be blamed, Cormier did what he did in plain sight. It wasn’t some smart trick he pulled behind the scenes. There couldn’t be a chain of events which would make it easier to understand that something was not right in the process, yet the people who were responsible for monitoring those proceedings, the New York State Athletic Commission, don’t get a whole lot of flak for the way they dealt with the situation. That’s not to say that they haven’t been criticized, but most references I could find about the incident direct the blame on Cormier, as if the Commission’s role in the situation is secondary. At UFC 210, the Mousasi-Weidman fight ended rather controversially, when it was ruled as a TKO win for Mousasi after an apparent mistake by referee Dan Miragliotta when he stopped the fight due to an illegal knee, in order to let Weidman recuperate. The most important thing to remember here is that New York State Athletic Omission doesn’t allow the use of instant replay in order to determine what really happened, which means that the immediate referee decision is final. There is no reason to change it later due to use of replays. Doctors were let in to the Octagon to check on Weidman, while Miragliotta was notified, in direct violation of that New-York rule, that after checking the replays it was discovered that he had made a mistake and the knees were legal. He then decided, in light of this new, forbidden information, that the fight must continue immediately. The doctors who were checking Weidman found meanwhile that he has trouble recollecting what day or month it is, and therefore decided he cannot continue. Since the Miragliotta decided that fight should continue immediately and it the doctors decided that Weidman was not fit to continue, it was declared a TKO win for Mousasi. Now let’s look at what should have happened. It’s been a while since I did one of these event review blogs. I was actually going to write up a preview as I was very much looking forward to the event. Just as I was finishing up, the news got out that Khabib Nurmagomedov was hospitalized after a failed weight cut, cancelling his interim lightweight title bout with Tony Ferguson, which on paper was the most interesting matchup of the card. I was too bummed to re-write my preview, and decided to spend the evening playing video games instead. Despite losing the co-main, and the main event which turned out to be a stinker, the card wasn’t bad overall. It had a couple of fun come-from-behind finishes, a good heavyweight scrap (in addition to two bad ones), and an early candidate for fight of the year in Vannata-Teymur. Here’s how the televised UFC 209 fights went down. A sloppy heavyweight striking battle to start off the night. Godbeer had the clear power advantage and landed some good shots but could not put Spitz away. Both fighters gassed badly halfway through the second round. Not much else to say about this fight. Aftermath: Can we just pretend this fight didn’t happen? It’s pretty clear at this point that Godbeer will not make it past being a low-level gatekeeper in the UFC, if he doesn’t wash out in his next few fights. Spitz is young and has plenty of time to develop, but his career would be better served by doing this development in smaller leagues. But the UFC’s heavyweight division needs all the warm bodies it can get, so both guys are guaranteed at least one more fight in the Octagon. I have very little interest in watching their next fights, whoever the opponent might be, so I’ll take the lazy approach to matchmaking with a winner-loser matchup against the participants of the other sloppy heavyweight bout of the night (Tybura – Henrique). Liam McGeary is the All-Time #38 ranked Light Heavyweight fighter. Conor McGregor is fast becoming the athlete that MMA has been looking for all along. He knows how to play the crowd, and when you look at MMA lines, it’s clear that his attitude drives his popularity. McGregor appeared triumphant even before the fight begun. He raised his hands, playing to the crowds’ expectations even as he approached the ring. He even went so far as to do a victory lap before the first punch was thrown. No wonder people were touting him as the greatest champion the UFC has ever seen. He wasn’t just confident and cocky; he actually delivered, overwhelming Eddie Alvarez before knocking him out in the second round. The self-Proclaimed King of New York took the UFC Lightweight title home on that Saturday. And, as a two-class champion, the title ‘King of New York’ is definitely deserved. All anyone wants to know now is McGregor’s next destination. Where is he going next?